One of my goals for my summer was to read the Hunger Games trilogy. I wasn’t expecting it to be heavy-lifting. The books are short and there are only three of them. (My other goal was to put a dent in the Harry Potter series. I’m halfway through book 4.) I wasn’t quite anticipating that I would be so engrossed I’d fly through them in three sittings. I took a little break after the first two because I had other things I needed to get done. I really wanted to finish though, so I picked up Mockingjay one evening after work and read straight through, breaking only for dinner. (No reading at the dinner table -- who made such a crazy rule anyway?) Reading so intently gave me a pounding migraine, but still, I couldn’t stop. I finished around 11:00, nauseated and medicated, but triumphant. So, my review is this: Suzanne Collins can really tell a tale. I think this is the best way to read these books – fast and furious. The action is straight-forward. The message is not subtle. The characters wear their hearts on their sleeves, and when they are confused, they let the reader know why they are confused. 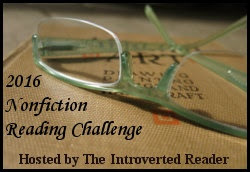 So the reader can get completely caught up in the action and the hyper-intense emotion. The books are fun. I can’t wait for the first movie. Contrast this with another wonderful book I just finished. 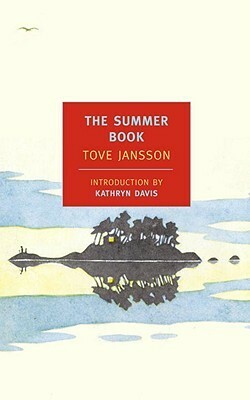 This one I read aloud with my daughter: The Summer Book by Tove Jansson. Somehow I missed Jansson’s work all these years. I’d never heard of the Moomintroll books. I read reviews of The Summer Book that spoke of it being perfect and magical, etc. How could I pass that up? The book is a series of vignettes following six-year-old Sophia and her ?eighty-something grandmother as they spend slow summer days in their island home in the Gulf of Finland. Sophia’s father is there, too, but his presence is much less felt. And Sophia’s mother, recently deceased, is noted only by her absence. Sophia is precocious at times and bratty at times. The grandmother is very wise and can be remarkably nimble, but sometimes her age catches up to her. The relationship between them is poignant. The landscape and seascape of the island is a necessary part of it all. The book is absolutely gorgeous. Each vignette is beautifully nuanced. This is not a book that you want to fly through – and yet we did. A couple times we would finish a chapter and I would pause. My daughter would say, "Huh." in a tone that meant – "Well, that was interesting– don’t start asking me what I think. It’s summer and you’re not my English teacher." So I plowed on to the next chapter instead. However, this is a book that definitely deserves a re-read. Another genre I never read (except when I read it) is memoir. However, the book group I’ve been trying to get back to chose a memoir for its August selection. (Scheduling conflicts kept me from the meeting where Unbroken was discussed, so that book is still on my shelf, waiting to be read.) 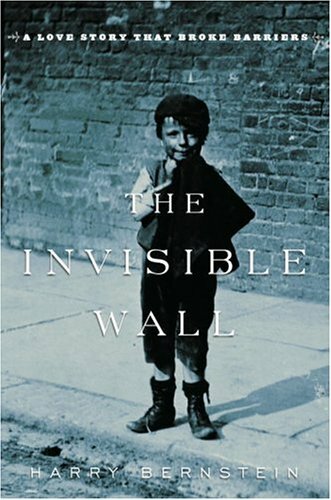 The Invisible Wall: A Love Story That Broke Barriers by Harry Bernstein sounded lovely...and I really wanted to go to the meeting. So...memoir it is. Harry Bernstein published this when he was in his nineties. It’s a look back at his childhood in a small mill town in Northern England in the years around WWI. What makes his situation unique is that one side of the street where he lives is Christian. Harry’s side of the street is Jewish. They are rigidly segregated by common consent. The people of the town live in crushing poverty, and Harry’s family is among the poorest of the poor. He adores his mother, who does her best for the large brood. However, his father is a sulky, sullen alcoholic who terrorizes them all with his cruelty. Harry has two older sisters. Lily is ambitious, studious, and kind to Harry – his favorite sibling. His other sister, Rose, is mean-spirited and selfish, jealous of Lily, and resentful of their mother. He has brothers as well, whose presence in the book is more muted. Throughout the book, Harry describes the struggles of the family, their bad times and the heartbreakingly-almost-good times. He rounds out the memoir with neighborhood stories, because despite the rigid separation, everyone knows everyone else’s business in that tiny community. The anecdotes make for a warm and interesting narrative. However, the focus whirls around Lily and a Christian neighbor, Arthur. Crisis erupts when the two fall in love. This is a charming, well-written book that brings the reader into the home of this young Jewish boy in WWI era England. It’s a fascinating glimpse into a different mind-set in a different time. Mailbox Monday is a meme originated by Marcia at A Girl and Her Books. It's now being rotated through different blogs monthly. During August, Mailbox Monday will be hosted by Life in the Thumb. Bloggers can share info about the new books that have come into their homes during the week. It's a great way to learn about MORE books to add to your wish lists and TBR piles. Guess what arrived at our house this weekend! Advance copies of my husband's wonderful book Cecelia and Fanny. 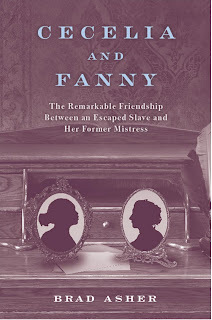 The Remarkable Friendship between an Escaped Slave and Her Former Mistress published by the University Press of Kentucky. The book uses primary sources, including a cache of letters from Fanny to Cecelia, to tell the story of their relationship and to explore the cultural roles and influences of slavery in an urban setting (Louisvile, KY) rather than on a rural plantation. Publishers Weekly gave it a wonderful review here. Sound interesting? Check out his CSPAN2 Booktalk interview. I'm running a giveaway to correspond with the release date. Winner will be chosen on September 21st. Leave a comment below AND fill in this FORM to enter. The only requirement is that you leave a comment (and contact info on the form), but followers and those who help spread the word will get extra entries. Lucie, Lady Duff Gordon (1821-1869) was apparently an extraordinary real-life Englishwoman. Well-bred and well-educated, she knew several languages and translated a number of books. She was known to be an outstanding hostess, running a sort of salon, bringing together English elite for rousing conversations. She was generous, politically progressive, and widely admired. Unfortunately, she contracted tuberculosis. As her health failed, her doctors and her husband reached the conclusion she could not remain in cold, damp England. And so, she set off with a single lady’s maid to make a new home in hot, dry Egypt. She is remembered primarily for her book, Letters from Egypt, a compilation of her correspondence to her husband and mother. The life she led in the city of Luxor was even more triumphant than that she had led at home, and certainly more exotic. Except for the fact that she was dying. 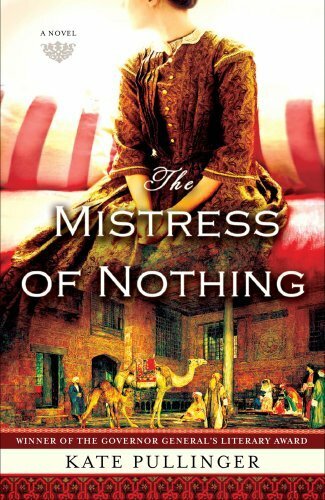 Mistress of Nothing by Kate Pullinger is the story of Lady Duff Gordon’s maid, Sally Naldrett. Why tell Lucie’s story this way? Here is this brilliant woman, facing death, refusing to give up, traveling to Egypt to bravely tackle new challenges. She learns a new language and adapts to new customs, takes up a new cause, suffers more heartbreak– why tell this thrilling story through the eyes of what might be considered a minor character? If that was all Pullinger had done, the book would not be such a success. But this is not Lucie’s story seen through Sally’s eyes. This is Sally’s story. And it works. In the hands of a storyteller as skilled as Pullinger, we get a much richer tale. We do view Lucie’s life peripherally through the eyes of a woman who has devoted her life to her Lady. Sally defines herself by her role. She exists to serve Lady Duff Gordon. It’s a life that is extraordinarily secure – there are very set boundaries that Sally has no intention of ever crossing and in exchange her plum position is guaranteed. But at the same time, Sallie’s life is exciting. As the favored maid, she is the one who gets to travel when Lady Duff Gordon’s health requires it. Sally has no external ties beyond a sister to whom she is fairly loosely bound. Sally cannot even imagine having a man in her life because it would interfere with her duty. When she is called to follow her Lady to Egypt, she is perfectly happy to do so. She is eager to see Egypt. She wants to leave England behind. Sally, much more than Lucie, is able to be completely transformed by this new experience- although her transformation is a gradual and unanticipated process. In Egypt, at first they are fish out of water. An acquaintance recommends they hire a dragoman. They acquire Mr. Omar Abu Halaweh. Omar is extraordinarily competent and efficient at all necessary tasks. He smooths their path as they sight-see and eventually choose the city where they will settle– Luxor. The further they travel into Egypt, the further they leave England and its customs behind. The careful mistress-servant relationship between Lucie and Sallie undergoes a subtle shift. The relationship between Sallie and Omar undergoes a more drastic change. What Sallie doesn’t understand, not at first, is how heavily Lucie relies upon her two servants for utter devotion. When Lucie discovers that her servants have lives and loves of their own, the consequences are immense. This is a beautifully moving story. The setting is richly described. There was just enough of the politics of the time to flavor the book without slowing down the narrative. The characterizations were spot on. Sallie was naive at times but forgiveably so. Omar was wonderful in many ways, yet weak when it counted most. And yet, when I looked at his choices I’m not sure I can fault him for the decision he made. And Lucie? This once vibrant, generous woman turned so cruel? I can only think of how miserable she must ultimately have been. If you’re looking around for a bit of well-written, character-driven, historical fiction, have a look at The Mistress of Nothing. 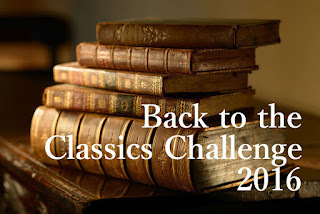 I've finished the goal I set for the historical fiction challenge. That doesn't mean I'm done reading historical fiction for the year, but it does mean I'm going to turn some attention to my other challenges. Are you a book blogger? 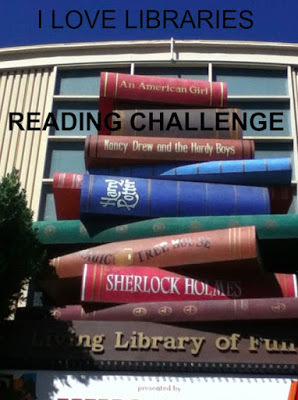 Are you a reader? Then welcome to the place where all of us connect over the weekend and chat about books! Not sure what a book blogger is and if you are one? Do you have a blog? Do you blog about books? Do you write book reviews on your blog? Do you rave about books and authors on your blog? Is your blog content primarily about books? Then you are most likely considered a book blogger! As long as you meet the qualifications of a book blogger, you may add your book blog link into the linky list at Crazy for Books. But before you do that, there are a few requirements. Read up, to save yourself a headache with the linky! 1. Before you add your link, you must post about the Hop on your blog and link directly back to THIS WEEK’S POST (not just the Crazy-for-Books domain, but the direct post for this Hop). The linky is going to review the link that you enter in your submission, looking for a link to this post on your blog. If it doesn’t find one, your link will not be approved. This is called back linking and I had to institute it because people were taking advantage of the Hop and getting some free advertising without promoting the Hop themselves. You can read more about this here. 2. While you are creating your post, answer the following question (there’s a new prompt each week)! "What’s the LONGEST book you’ve ever read?" 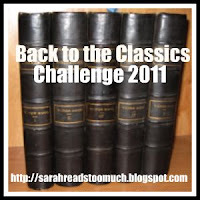 My answer: The longest book I ever read was Joseph and His Brothers by Thomas Mann. It’s a historical novel based on the biblical story of Joseph, but it’s literary fiction, it’s not an actual religious/spiritual text. The translation I read had 1492 small print pages. It was probably the best book I’ve ever read. Possibly the next longest book may have been Gone with the Wind and I loved that too. I guess if I didn't love the books I wouldn't have made it through them. How about you? Have you ever made it through a long book that you didn't love? Waiting on Wednesday is a weekly meme hosted by Jill at Breaking the Spine. Bloggers get a chance to share the books they are eagerly anticipating. Here's mine! "I hope Cecelia you are happy; much happier than when you were my property." Brad and I both love history, but he’s always been the true historian. He writes nonfiction, US history and this is my favorite book of his so far. Cecelia was a fifteen-year-old slave when she accompanied her mistress, Frances "Fanny" Thruston Ballard, on a holiday trip to Niagara Falls. During their stay, Cecelia crossed the Niagara River and joined the free black population of Canada. Although documented relationships between freed or escaped slaves and their former owners are rare, the discovery of a cache of letters from the former slave owner to her escaped slave confirms this extraordinary link between two urban families over several decades. 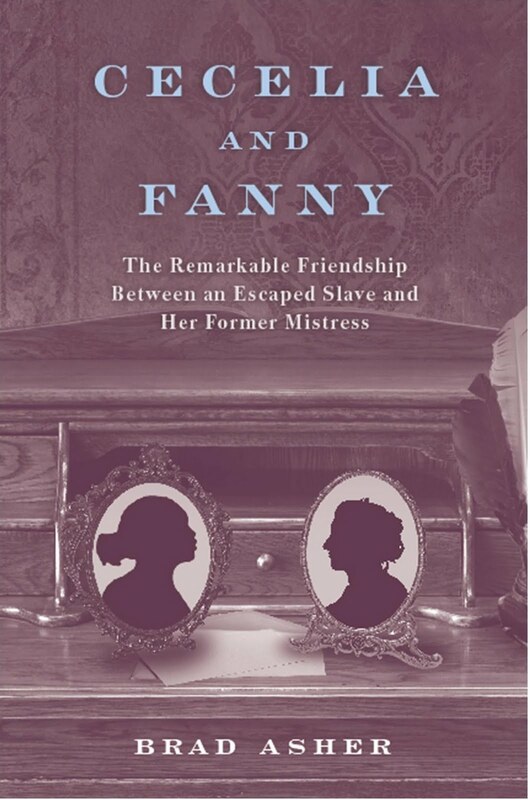 Cecelia and Fanny: The Remarkable Friendship between an Escaped Slave and Her Former Mistress is a fascinating look at race relations in mid-nineteenth-century Louisville, Kentucky, focusing on the experiences of these two families during the seismic social upheaval wrought by the emancipation of four million African Americans. Far more than the story of two families, Cecelia and Fanny delves into the history of Civil War–era Louisville. Author Brad Asher details the cultural roles assigned to the two women and provides a unique view of slavery in an urban context, as opposed to the rural plantations more often examined by historians. You don’t have to take my word for it. It’s one of the Library Journals two picks for Fall on African American History. Visit www.bradasher.com for more info. The back jacket flap for Willa Cather’s O Pioneers! 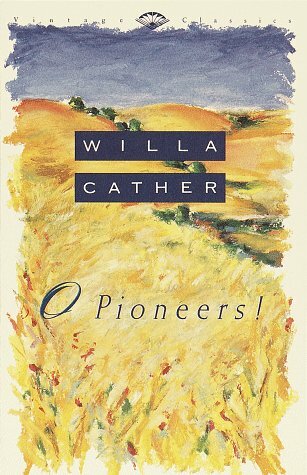 introduces the book this way: "One of the most important American writers of the twentieth century, Willa Cather mined her childhood experiences on the Nebraska plains and her later love for the Southwest to create timeless tales of romance, tragedy, and spiritual seeking." One of the most important American writers of the century? It sounded like a perfect choice for my twentieth century classic for the Back-to-the-Classics Challenge. The fact that the book has been sitting on my shelf for more than ten years, gathering dust, made me all the more determined to finally read it. O Pioneers! is the story of Alexandra Bergson, a Swedish immigrant to the Nebraska plains. At the young age of twenty she is orphaned and left in charge of three younger brothers and a farm that is just barely supporting them. The two eldest boys are hard-working but unimaginative and dour. The youngest, Emil, is sweet, smart, and Alexandra’s pet. Alexandra’s father leaves her in charge because he sees in her the intelligence and steadiness needed to make something of the land. (He suspects the boys will turn tail and run when time gets hard – and they almost do.) It is Alexandra who has the vision to make something of the farm and enrich them all. She is fair-handed with her brothers, but she particularly dotes on Emil. She sends him off to college so that he will have a chance to make something more of himself – the American dream. The book follows their lives as the Bergson’s become wealthy landowners. The transformation is not necessarily a good one for the family. Alexandra, in particular, leads a very lonely life. It’s painful to see the self-centered actions of her brothers. (Smug superiority for the older two, tragic romantic in the youngest.) The book does not portray men in general in a very admirable way. Through it all, she soldiers on, embodying the pioneer spirit. The novel very nicely portrays the lifestyle of Nebraska pioneers – the hardships, the friendships, the solidarity, and the importance of the land itself. The style is old fashioned and the narrative has a leisurely pace. It’s one of those subtle books that uses spare language yet nevertheless examines the characters carefully and gets you to pondering human nature. In the end, I did have to admire Alexandra. However, I pitied her just as much. She deserved better people in her life. Despite my monstrous TBR pile, I keep coming across books on various blogs that sound good to me for one reason or another. One book recently caught my attention despite being contemporary YA, a genre I keep insisting I rarely read and yet one that I seem to keep making exceptions for—I had to check it out. Once Was Lost by Sara Zarr is the story of fifteen-year-old Sam Taylor in the midst of the hottest, worst summer of her life. Sam is a PK, a preacher’s kid, in a small town. Everyone knows her family; everyone knows her business– or think they do. What they may or may not know is that Sam’s mom is an alcoholic. Sam has been covering for her since she was eight years old, trying to help her father pretend that everything is perfect in their family. This is the image they’ve always believed they need to project to the congregants. Everything fell apart after Sam’s mother had a car accident. The judge ordered her into rehab. Sam waits for her father (Pastor Charlie) to announce to the church what has happened, where her mother is, but he doesn’t. He lies, continuing to pretend everything in their family is fine. Sam frets about how her father has always been there for everyone in the church, but has never been there for them. Her mother was the one who took care of her, even as alcoholism took her farther and farther away. As Sam mourns the disintegration of her family, she begins also to question her faith. Depressed and confused, unsure who knows about her mother and who doesn’t, she wants to be left alone. She is alone. Then another crisis strikes. A young girl in the congregation disappears. The whole town focuses on finding Jody Shaw. Pastor Charlie is very involved in supporting the grieving family and becomes even less available to Sam. She feels more and more abandoned and confused. What makes things worse is that Sam recognizes her own problems are not as bad as those of the Shaw family, but she can't help how bad she feels. And she doesn't know where to turn. She doesn't know how to help. No one in town is above suspicion. As the days tick by, it becomes less likely Jody will be found. Sam is no longer certain who to rely on or where she can place her trust. This was a surprisingly powerful book. Sam is a very solid character who has carried a lot of responsibility for a long time. She’s no whiny, self-centered teenager. So it’s easy to empathize with her as she struggles with problems too great for someone who is still a child to handle alone. The adults in her life, the ones she should be able to turn to, are not reliable for various reasons. She has good, caring friends – but there is only so much they can do. Despite the fact that the book revolves around Sam’s questioning of her faith, her church and youth group– it’s not preachy book. The messages are subtle and you can take away from it what you will. It is a hopeful book but one that is tempered with realism. 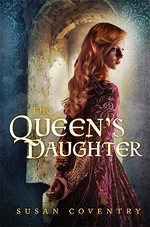 I just finished reading a lovely historical novel that’s a bit different from my usual fare. I discovered it thanks to Donovan’s blog Where Pen Meets Paper. You can check out the review there too, if you like. 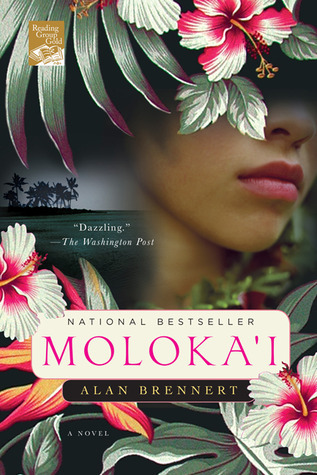 The book is Moloka’i by Alan Brennert. This is the story of the Hawaiian leper colony founded in the nineteenth century on the island of Moloka’i. The story is seen primarily through the eyes of Rachel Kalama. Rachel was just seven years old, a happy, healthy, playful child, when she was first diagnosed with leprosy. It was 1892. The disease was poorly understood and there was no cure. Victims were feared and shunned. In order to prevent spread, they were isolated from the rest of society and shipped off to Moloka’i. This was even true of children. Rachel was fortunate in one respect; she had a beloved uncle who had previously been banished to the island. Her uncle had a warm, loving girlfriend who became a second mother to Rachel. This woman, Haleola, was a native healer who eventually taught Rachel about Hawaii’s culture and legends (enriching the novel as well!) However, when Rachel first arrived, she could not stay with her uncle because children had to live in The Bishop’s Home to be supervised by nuns. Luckily, she was allowed visits. Having that much family made the island a little bit more like a home. Living with the other girls turned out to be a blessing in disguise. She was able to grow up within a community, developed a support system, and had fun. She also found a lifelong friend in one of the nuns, Sister Catherine. Rachel has a mild form of the disease. She watches many of her friends die over the years, but there are some longtime survivors. Over the course of the book, the world changes too. From the vantage point of this strange island cocoon, Rachel experiences the bombing of Pearl Harbor, the dawning of the electrical age, the advent of motion pictures, and much more. The leper colony is a microcosm. It’s interesting to follow Rachel as she grows to womanhood in the strange artificial environment, cut-off from the outside world. At the same time, the people of Moloka’i don’t just sit around waiting for word from outside. They have their own social and economic structures. They’ve created their own world. You never lose sight of the fact that they are exiles, forbidden contact with non-lepers, but their ability to make something of their lives within the context of that exile is a testament to their resilience. This book has all the things I like in historical fiction. It has well-crafted characters, a fascinating setting, and it was clearly well researched and taught me new things. You might think the topic would be depressing, or possibly enraging, but it wasn’t. There were some bad guys, but overall, it was an encouraging story. However, I did find it somewhat unevenly paced. There was a lot of life-and-times to cover. Sometimes the storyline lingered over episodes and at other times it jumped over large blocks of time and plopped us down again without much warning. Toward the end, we seemed to be hop-skipping from episode to episode just to get us through the rest of Rachel’s life, but that was OK with me because I was starting to count pages to see if I was almost done yet. I also had a bit of trouble settling in with the Hawaiian dialect at first. But these minor quibbles did nothing to detract from the novel overall. For an inspiring and informative story about Hawaii’s attempts to deal with leprosy as the kingdom/state emerges into the twentieth century, read Moloka’i. 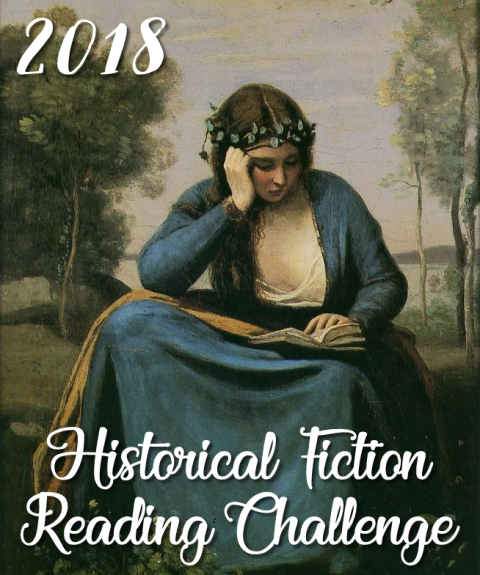 I've almost finished my historical fiction challenge goal, but I knew this would be the easy one for me. I've got to get working on my other challenges!